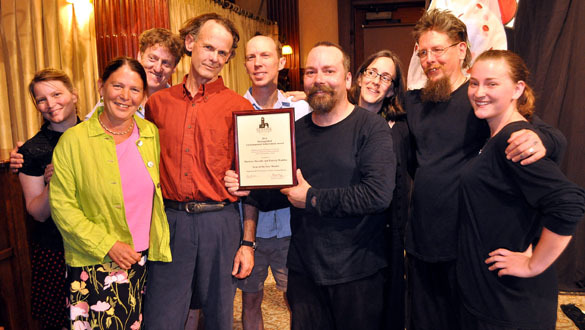 Arm-of-the-Sea receives Mohonk Consultations’ 2014 Award for Distinguished Environmental Acheivement. Arm-of-the-Sea is a member of UNIMA-USA (The American Center of Union Internacionale de la Marionnette), Arts Mid-Hudson and the Saugerties Chamber of Commerce. 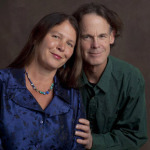 Marlena Marallo and Patrick Wadden are the founders and directors of Arm-of-the-Sea Theater. Their artistic partnership continues to evolve and bear fruit. 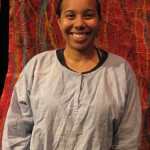 Marlena sculpts and paints most of the Theater’s vivid imagery. She is also a printmaker and mosaic artist. You can view her work throughout this website and on the Gallery page of Water Tree Studio. Patrick is a playwright and poet. In addition to scribbling out the scripts, he creates the sets, and directs the productions. Marlena & Patrick homestead together in Saugerties NY. Dog on Fleas"> Dean Jones, AotS Music Director since 1999, is a trombone player/multi-instrumentalist, composer, arranger, and Grammy Award-winning music producer. His musical chops are regularly featured with Sonando, Uncle Buckle, Big Sky Ensemble, Hudson River Playback Theatre and the Bedtime Kissers. Dean is owner of No Parking Studio in Tilson, NY, and founder of the nearly-famous kids’ band, Dog on Fleas. 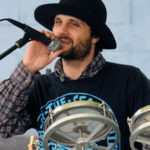 He creates and performs the music and the character voice-overs for most Arm-of-the-Sea shows. Anna Haffner is a multidisciplinary artist living and working in the Catskills. She focuses on creating otherworldly costumes and adornments, inspired by nature and its patterns, myth, and identity. Anna is absolutely delighted to be a cast member of The Rejuvenary River Circus. Soyal Smalls joined Arm-of-the-Sea in 2013 with great enthusiasm for performing another style of social storytelling. Her interest in theater began at the age of ten when she performed with New Day Repertory (Poughkeepsie, NY) in “Our Man from Georgia,” and Athol Fugard’s “Valley Song”. Combining her interests in performance and society, she earned a BS in Sociology with a minor in Theater Arts Performance from SUNY New Paltz. Composer, voice artist, and music director Eli Winograd joined the company in 2015 with the production HOOK, LINE & SINKER. Since then he’s created the sound for three new shows. Eli lives in Kingston, NY with his wife and young son. He operates the recording studio and production house Lone Pine Road. 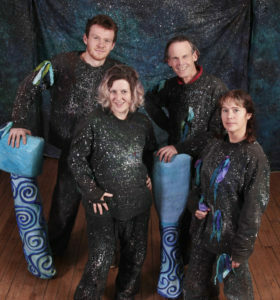 Since 1982 Arm-of-the-Sea has created 45 original productions. Some of these shows we’ve toured far and wide—- from central Kansas to the coast of Maine, from northern Michigan to Virginia tidewater, presenting approximately 2,000 performances. Here are the peformers , musicians, and artists that have helped shape and propel this work. 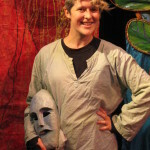 Principal Design Associate: Jean Whelan- Costume designer and artist extraordinaire. Jean’s skills and sensibilities have helped shape characters and scenic elements in numerous productions including: The Water Tree, Dreambones & Lightning, Feast of Life, Rip Van Winkle on the River of Time, City that Drink the Mountain Sky, At the Turning of the Tide, and the 2014 Esopus Creek Puppet Suite. Musicians include: Thomas Workman (music director 1996-1999), Brian Farmer (music director 1989-1996), Dennis Yerry, Juan Basilio Sanchez, Noah Wadden, Sarah Underhill, Malcom Cecil, Robin Ludwig, Chas Griffiths, Tani Tabal, Zoe B ZaK, Bill “Otto” Ylitalo, Tim Allen, Peter Buettner, Shane Kirsch, Joakim Lartey, Chris Cullo, Joel Schuman, Dan Einbender. Company members have included: Sam Shippee, Laura Kopczak, Steve Smith, Keenan Cleary, LeeAnne Richards (2010-’15), Carl Welden (1998-2014), Zzoe Rowan (2006 – ’14), Eli McNamara (2009-’12), Cathy Muller 2010-’12), Monika Szrek (2012) , Julie Novak (2007-’09), Dale Gibbons, Jason West, Trey Daniels, Lisa Abbatomarco, Steve Thomas, Colette Lemmon, Marie Daniels, Grian MacGregor, Hannah Mittenberg, Sandy Lamerson, Lillian Hardin, Vanessa Norton, Sean Williams, Sophie Kravitz, Kevin Taylor, Nick Jones, Kevin Downing, Amy Kotel, Adam Green, Travis Jeffery, Josh Gordon, Mina Hansen, Eva Berger, Titso Markoshasvilli, Gavin Hoesch, Debra Noble, Lucinda Knaus, Joel Schuman, Lynn Duval, Lynne Gilson, Bob Lavaggi, Melissa Ortquist, Pat Humphrey, Joe Ferris, Adelinda Hyde, Claudia Rose, Karen Hinderstein, Raven Hone.